This month’s word, “celebration” has me pumped because I get to talk about my absolute, favorite dude from the Old Testament. NEHEMIAH! He was the man. He was courageous, intelligent and willing to speak God’s truth. He was on a mission to rebuild Jerusalem and he was making things happen left and right. After lots of hard work, Ezra, a priest and expert in the law enters the scene in Jerusalem. Everyone was settled in their towns and they gathered to listen to Ezra read the law aloud. He read the law for hours and as he spoke, people began crying out of guilt. The people had an appropriate reaction to mourn sin. Then they were encouraged to move on and celebrate God’s grace. They did just that. They ate delicious food. (There’s not much more I enjoy in life than delicious food!) They shared the goods with people that had none. The Bible tells us they celebrated with great joy! It was a holy day, a day for them to rejoice and party! This story reminds me that as I repent, I can accept God’s forgiveness and then celebrate! I can choose great joy in his grace. It also highlights community. It encourages me to celebrate side by side with others as we repent, grow, eat delicious food, cry and choose joy together! Over time, I hope my community and celebration get deeper and deeper, as I choose God’s grace over my guilt. Thanks for this attention to detail w/Nehemiah–such a reminder that God’s love for us is really something to appreciate & celebrate. Thank you!!! delicious food, RIGHT!? 🙂 Nehemiah is the man!! 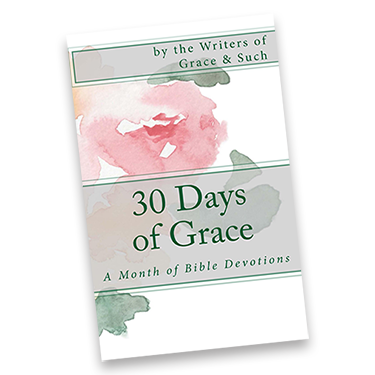 ‘I can choose great joy in his grace.’ Thanks, April. 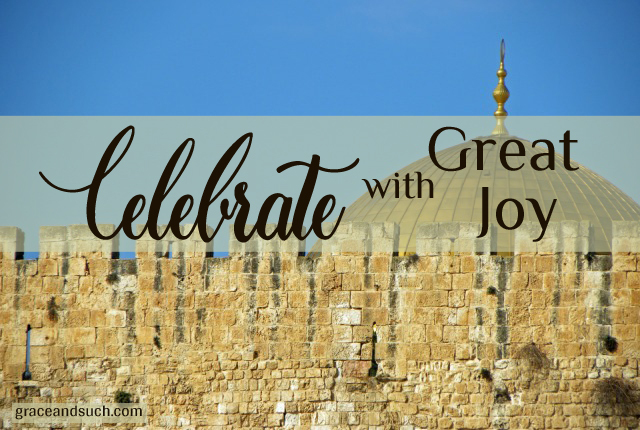 Wonderful reminder that we get to choose joy and to celebrate what God provides. Nehemiah! One of my favorite parts of the book is in chapter 3 when it’s listing all the builders and what they did. Verse 12 says, “Shallum son of Hallohesh, ruler of a half-district of Jerusalem, repaired the next section with the help of his daughters.” YES! Women helped build the wall, too!! It seems a little insignificant, but I’ve always thought that was a good reason to celebrate. 🙂 Thanks, April!